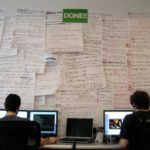 All the little tasks that might only take a few minutes each, add up to consume hours of your day and majorly disrupt your productivity. 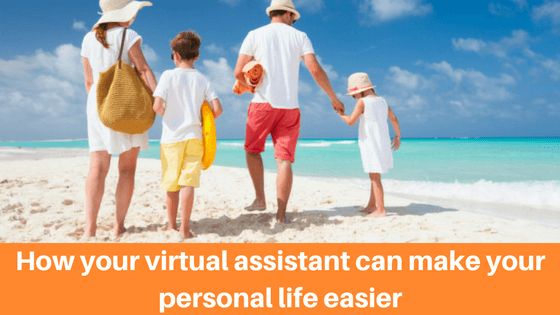 Every time a personal task pops up send across an email to your Outsourcery assistant so that they can immediately take on the responsibility and stop you from getting that horrible nagging feeling that you’re constantly forgetting to do something. For example, if you need to buy a birthday present or order flowers, your assistant can research options, order the product using your payment details and arrange for delivery at a time that suits. Then, if the product never turns up or arrives damaged, your PA can follow this up straight away with customer care to ensure the issue is solved in good time, rather than weeks later when you remember. Or it might be updating your personal details on your frequent flier accounts, applying for a new bank card, researching how to download a series onto your iPad, signing up to a magazine subscription, booking your next gym class, the list goes on. Better still, Outsourcery has partnered with lots of wonderful brands such as TaskRabbit or Pronto to give you exclusive discounts so that when you ask your assistant to order a birthday cake or your lunch to the office, you’re not just saving time, but money. As fun as a Christmas drinks party sounded back in October, by early December when you still haven’t found a venue, you’ve totally forgotten to invite anyone and haven’t even considered food or drinks it ends up feeling like more trouble than it’s worth. But here’s an area where a virtual assistant can really help and practically take care of the whole event from behind a computer screen, leaving you to just enjoy it. Organise a time to speak with your PA over Skype, Facetime or Whatsapp call to chat through your vision, potential dates and your guest list. They can then do some preliminary research into finding appropriate caterers, venues, printing firms, graphic designers for your invitations and whatever else you need. You make your selections, you assistant books and that’s another task to satisfyingly tick off your list. You could even give guests your personal assistant’s customised email address as the RSVP contact so that they can keep an eye on replies and save you the trouble of chasing confirmations. Finding time to socialise in between working hours and appointments can be a nightmare, but if you hand over your personal calendar to your Outsourcery assistant as well as your work schedule, they can seamlessly coordinate the two to allow you time to relax, see your friends and attend important family events. You can also ask your assistant to set reminders so that you’re warned in advance of an upcoming birthday, concert or dinner. If you’re the one planning an occasion, your assistant can book the restaurant and liaise with your friends or family to find a time that suits. For more ideas on what to delegate, ask your Outsourcery assistant. It’s about making every area of your life as stress free as possible.